“Perhaps you would like to step into a delightful red racing car? 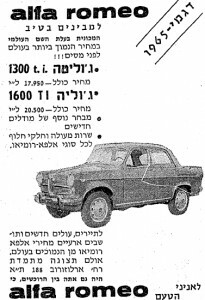 An Italian Alfa Romeo”, Ma’ariv, a local daily, was asking its readers on June 17, 1964, a day following the grand opening of the international Eastern Fair in Tel Aviv. The car, a Giulia 1600 Spider in Rosso Alfa, was no doubt red and delightful, although the racing aspirations were admittedly reserved for other Alfas. 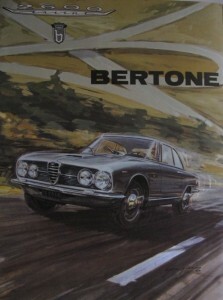 That was the prelude for the launch of the coveted Italian brand in the Israeli market that summer. The story of Alfa in Israel over the second half of the sixties goes way beyond Giulias and Giuliettas. Other than regular imports of the Milanese vehicles, a plan for the assembly of Alfa Romeo cars in Israel has been lingering for over four years. That plan was also to include exports. It never materialized, though, and by the end of 1965 Leyland Motors won the hard-fought for deal. 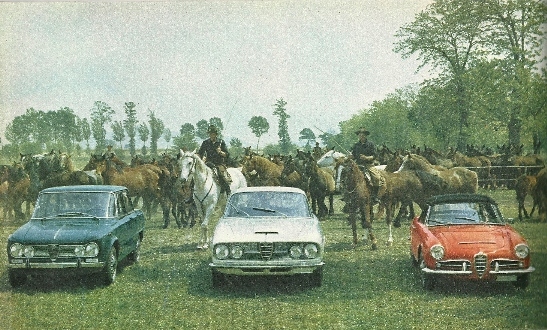 In 1963 Alfa was starting production at its brand new plant in Arese, near Milan. The ancient works within the city could no longer contain the producer’s growth plans, which included an installed capacity of 200,000 cars a year. That same year Dino Gentili and Arik Makleff established ITIS in Tel-Aviv, an Italian-Israeli trading company that soon became the largest exporter of Israeli goods to Italy. ITIS was exporting some 100 Million U.S. Dollars worth of chemicals, fruits, vegetables and textiles. Gentili, a Milanese Jewish born in 1901 and the grandson of the Rabbi of Mantua, was a fervent socialist who was described in his La Repubblica obituary in 1984 as the “Socialist Rothschild”. Other than trading with Israel, Gentili was a pioneer tradesman with China and the Communist bloc, within a company he set up in partnership with Fiat, among others. 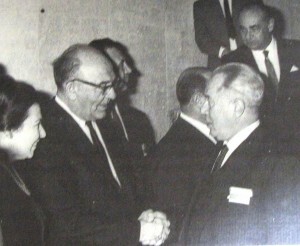 Even though he was not a Zionist, Gentili was in close contact with the Israeli left-wing politicians. 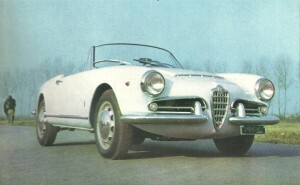 More importantly as far as Alfa goes, he had an excellent relationship with the No. 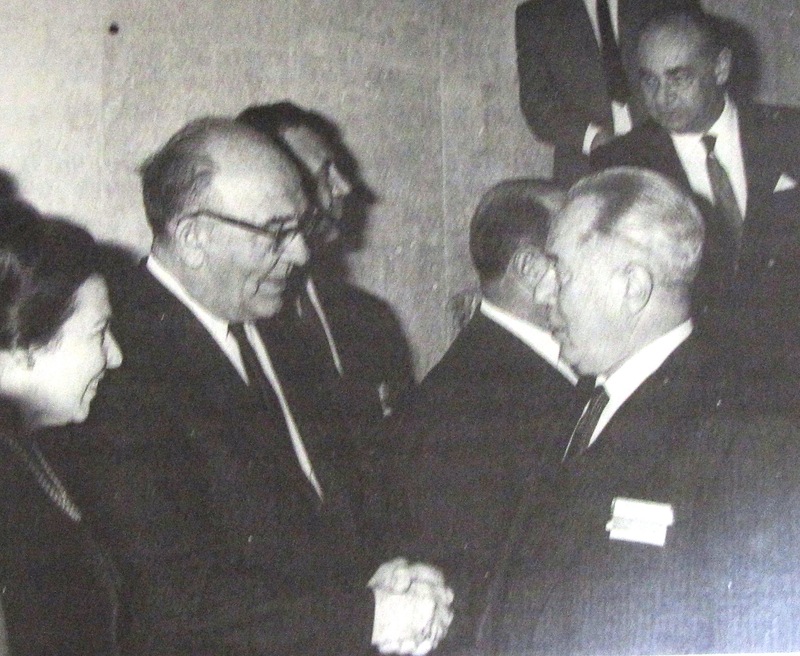 1 person in the Israeli economy at the time, Finance Minister Pinhas Sapir. “He had a great influence over Sapir”, says today Gentili’s then-partner, Makleff. Makleff, an Israeli born in 1931, was stationed in the late Fifties in the U.S., where he soon became the deputy manager for the Israeli Government Investments Authority. “Us, the Investments authority guys, together we tore down the Arab Boycott on Israel”, he recalls. “My line of thinking was that wherever they are closing the door for us, I have to find the way to open it up.” Along the way Makleff had made friends with Sapir. 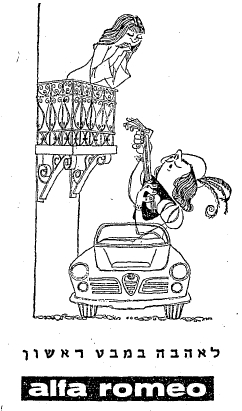 Soon after ITIS was formed, Makleff initiated a connection with Alfa. “That was my idea. I knew the company, which was not represented in Israel. I wanted to sell a popular car here. Dino was seating in IRI’s board [IRI was a government entity that had control over some major industrial corporations, among which Alfa Romeo], and made sure many allowances are made for us, so that a deal can be struck. Alfa were initially asking for considerable securities, but gradually we were removing every obstacle.” Already at that point in time, Alfa and ITIS had bigger plans in mind. Pinhas Sapir saw them fit for car assembly in Israel. Makleff recalls a meeting held in late 1963. “I am having tea with Sapir at his residence, a teacup he brewed himself. He called me up in order to send me to the U.S. once again, and we were discussing what should be done there. Sapir was telling me: “look, we are having severe problems with lay-offs at Illin’s in Haifa, of dozens of workers”. A few moments later, Illin entered his place.” Ephraim Illin, founder of the Israel motor industry, had at the time assembly contracts with three producers – Japanese Hino, Studebaker and Willys-Jeep. He also owned a machinery plant at the southern tip of the coastal plain. Sapir and Illin were very close back then, and Illin knew Makleff from the latter’s days with the investments authority, when Makleff was supporting him in establishing the contact with Studebaker in Indiana. Sapir was now looking at harnessing Gentili and Makleff in assisting Illin. Illin, says Makleff, had a business plan, a version of which has been recently put on trial – and proved a failure – by his long-time opponent, Yitzhak Shubinski of Autocars. “Illin had the idea of developing a locally-made sportscar bearing the Alfa brand name, to be distributed in the States to the Zionist Jewry. 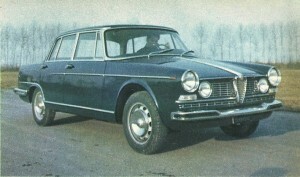 It should have been based on the 2600 Sprint, with the 2600 berlina lesser powerplant. It never happened, of course. In America they were trying to discourage us in every possible way.” The Italians were not very fond of the idea, either, and did not even bother to get into technical discussions. Makleff adds: “Illin liked to call the shots, and that sportscar was an idea he was very eager on pushing. Over in Milan, they saw clearly that it could deteriorate from their sales performance, while not necessarily adding to the brand’s reputation. I told Illin he would dare not think of a development plan without first having a contract from a car producer”. The Illin-made 2600 did not emerge, but the connection with Alfa was soon heading towards more realistic directions, and Illin was to return to Alfa within a few years. On May 8, 1964, Alfa Romeo issues a first sales invoice to ITIS Tel Aviv, entailing three Giulia ti and that Giulia Spider in Rosso Alfa. All four cars were equipped with the modern and powerful 1600cc engine. 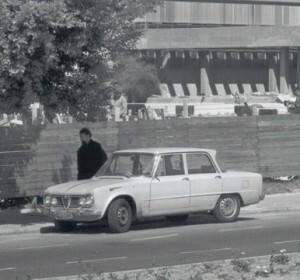 A week later Alfa shipped to the Haifa port a Blue 2600 Berlina, with a six cylinder in-line engine, Milanese luxury amenities and a price tag of IL 23,500. The next six-cylinder Alfa would be shipped from Milan to Israel only 26 years later. 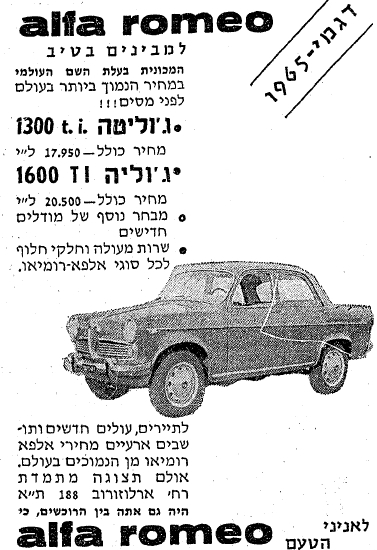 In June, some additional 24 Alfas were exported to Israel, all Giulia Berlina, with 1300 or 1600cc engine. On June 23 the local distributor, named “Hermesh”, held a press conference where the invitees were informed that marketing commenced two weeks ago, some 25 units were already sold, and 20 additional units should be in Israel shortly. It was also revealed that the import license for the next year holds a maximum of 200 units. By end August a total of 28 units were delivered to customers, mostly around Tel Aviv. Over the next months Alfa was showing a real interest in exploring the assembly potential in Israel. In August, Alfa advises it would like to survey the market, in order to look for potential parts procurement and car assembly. The inter-ministerial vehicle committee asks to hold the visit in October, but on August 30 the Italians telex Jerusalem a request to have it immediately. The visit did start on the following day, its itinerary included getting together with candidate factories, and ended with an official meeting with the committee.